What’s the difference between gross sales (or total sales) and taxable sales? Total sales (also known as gross sales) is the sum of all of your sales, regardless if you collected sales tax on a transaction or not. Taxable sales (displayed as Taxed Sales in your TaxJar Reports) is the total of only the transactions where you collected sales tax. 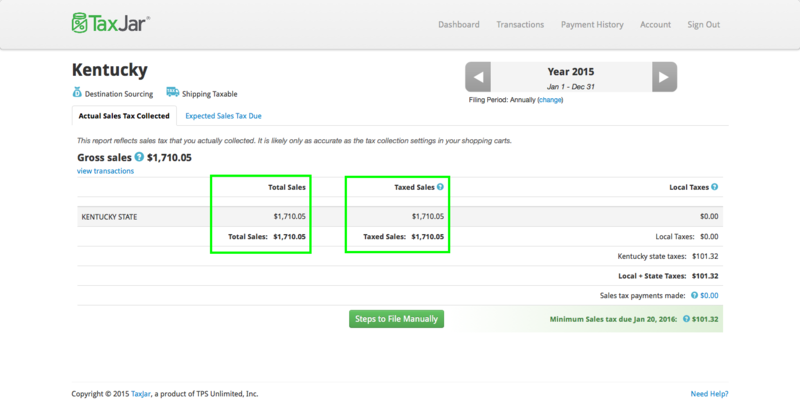 Your TaxJar Local Reports will display the Gross Sales for that state for the period shown in the Report. If you need to see Gross Sales for all states, you can view this in the Detailed Sales Tax Analysis.